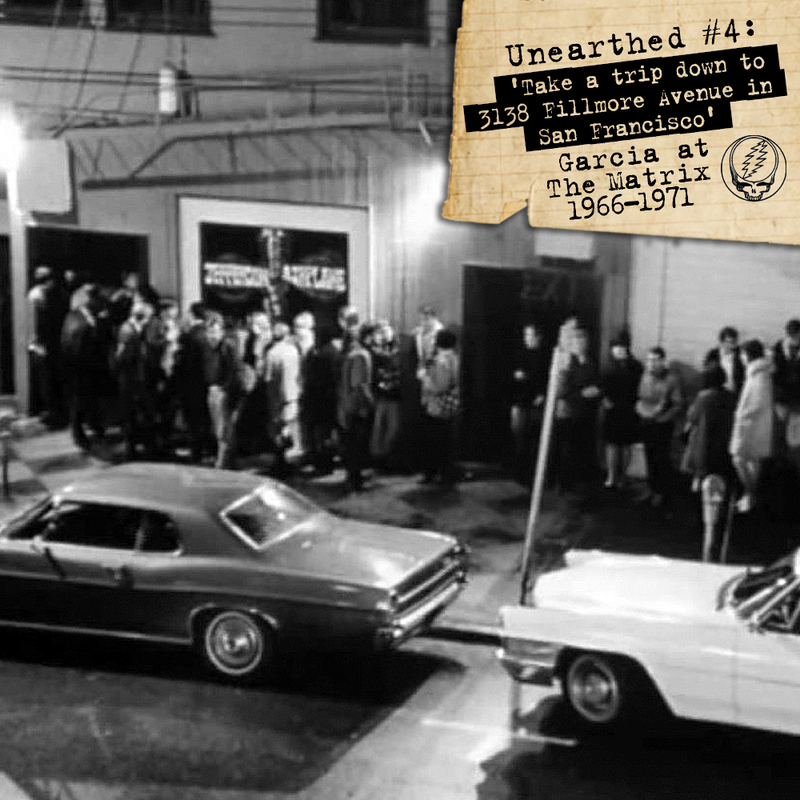 For the latest edition of Unearthed (AD’s ongoing series of rarity-themed mixtapes), take a trip down to 3138 Fillmore Avenue in San Francisco. There, you’ll find the Matrix, a tiny club that existed from 1965-1972. As we know from excellent live recordings of the Jefferson Airplane, the Doors, the Velvet Underground, John Fahey, Sandy Bull and others, if acts were onstage, the tapes were usually rolling. Jerry Garcia played there innumerable times (go here for more detail), but not many of his Matrix appearances have been released officially. Lucky for us, there is a wealth of material out in the wild. This Unearthed comp pulls together some highlights from five years worth of Jerry at the Matrix. It’s clear from listening that this was a spot where the musically omnivorous guitarist felt very comfortable, where he could stretch out, where he could experiment, where he could jam with a diverse cast of characters (the Dead, Merl Saunders, David Crosby, New Riders of the Purple Sage, etc). The array of sounds Garcia made at the Matrix is dizzying, from garage rock to jazz fusion to bluegrass to cosmic funk … and beyond. Enjoy.